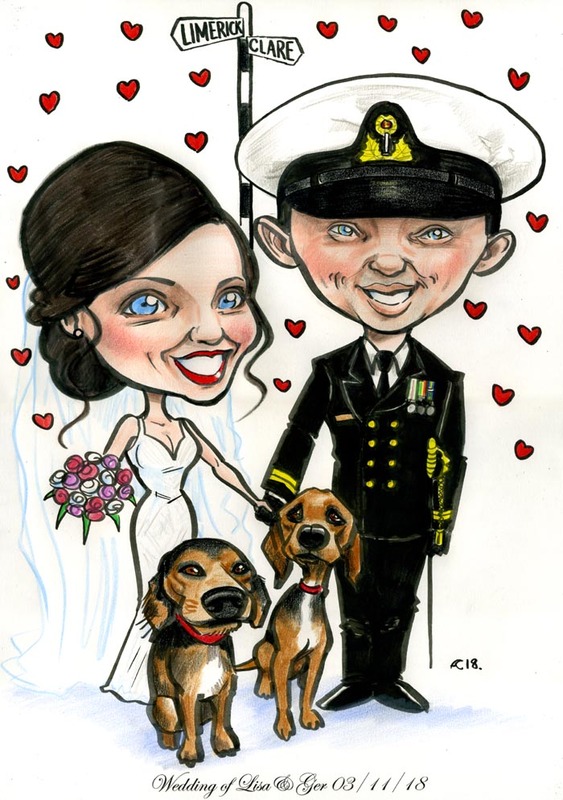 Irish Navy wedding caricature for a recent wedding signing board. I paid close attention to the colours in the medals. I really enjoyed drawing the dogs, they have real character judging by the photos. Congratulations to Lisa and Ger and all the best for the future! Birthday Gifts for Her Ireland!